If you own Native Instruments Kontakt you’ll want this new freebie as well as check out a new sample library called Sphere. The free download for Kontakt is called Photosynthesis Engine. Cool name! Photosynthesis Volume One Sphere is a sample library with 127 instruments for Native Instruments Kontakt sampler from game and trailer composer Jeremiah Pena. Photosynthesis Engine is a free “interface” for Kontakt that Jeremiah uses as the engine for his new Sphere sample library and which is available for us for free to use to make it easy to create our own Kontakt Instruments. It’s not complicated, but I’ll explain more, plus drop some links to videos and audio demos so you can find out what this is for yourself! First, the Photosynthesis Engine is a free interface for Kontakt that allows you to import samples and layer them. You can easily layer and manipulate the samples making it fun and easy to create your own sounds. The Photosynthesis Engine is open source and free to redistribute. 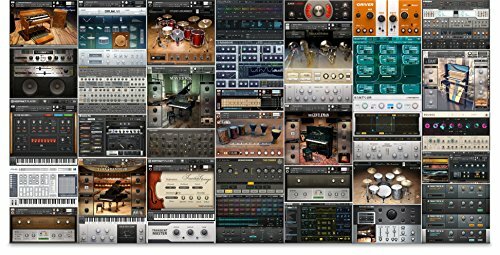 You can share/sell any instruments you create with it, as long as all samples you used are entirely your creation. Import samples with Photosynthesis Engine, then manipulate them with sound shaping, filters, 10 effects, and a rhythm section featuring a step sequencer, filter sequencer, and 4 lfo’s. The Photosynthesis Volume One Sphere sound libray is $35. and runs on the same Kontakt KSP script as the engine. “Sphere is a powerful sample library for Kontakt, aimed at film/game composers, producers, and musicians who need gorgeous evolving pads, dark soundscapes, rhythmic underscore, and creative instrument effects. Download Photosynthesis Engine for Kontakt for free HERE – it’s 47 MB and requires your email but it is worth it! Information on Kontakt 5 is available on the Native Instruments site.